For me, a muse is an ever swinging compass that takes you back again and again to your heart’s true north. Lucky for me I have four little muses! My work stems from my observations of living with and homeschooling our children. The night fridge glow on a hungry snacker, my children jumping on the bed – become wild beasts and fairies in my mind’s eye. 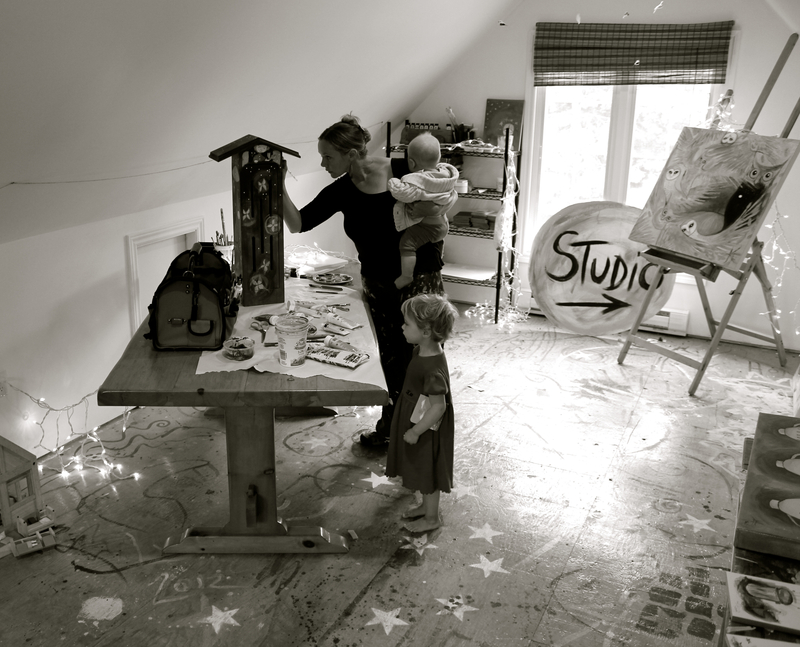 Even though my work often merges into a starry magical world, it is rooted in the realities of parenting. Before children I found it very hard to make art. I was paralyzed and unmotivated. I believe my muse was not completely formed (or was just a twinkle in my eye as they say!). I now laugh because these days when I have five minutes to make art, it happens. It has to! Necessity has been a gift. In these days of distraction, even the smallest steps to creativity are celebrated. Parenthood has taught me to be flexible. Applying that to my creative process has been key to the continuation of my career. I paint a little here and there; I sketch at the park while the kids play, or while waiting at the dentist’s office; I have even created an entire painting parked beside a field as my baby napped in his carseat. These memories of how and where my art happened now find their way into new works too, like a good story twisting in on itself. I hope to look back on my career as an artist and watch my children and their magical world unfold before my eyes again and again, knowing that the way my art happened was exactly how it was meant to unfold. I will have parenting and my four muses to thank for that. 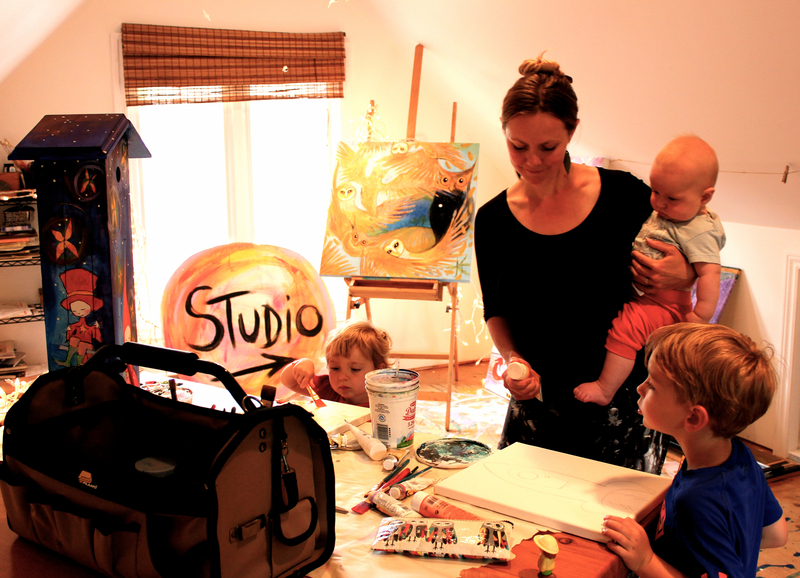 Katie lives with her family of six in Cobourg Ontario, where she homeschools and paints wherever there is space.